Cursed is he who does the work of the LORD with slackness, and cursed is he who keeps back his sword from bloodshed. In an effort to improve the nutrition and lower the cost of our homemade bread, the wife and I have discussed purchasing a flour mill for a year or more. 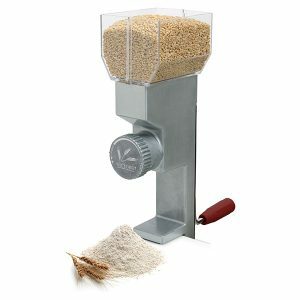 We watched a lot of video reviews, did a lot of comparisons, and finally purchased the Victorio Deluxe Grain Mill about a week ago. Several batches of bread later, its time for a review.